In recent years, cryptocurrency has become a subject of both intrigue and anticipation with its decentralized approach as well as its promise of anonymity in transactions. While Bitcoin is recognized as the first cryptocurrency, plenty of other alternatives, known as altcoins, have been developed; one of which is Ethereum. Vitalik Buterin proposed Ethereum in 2013. The open-source public platform utilizes blockchain technology to produce smart contracts and allow for secure cryptocurrency trading. Because of its open-source nature, it enables developers to make and publish decentralized applications used for data storage, mortgage transfers, and sophisticated financial trackers. 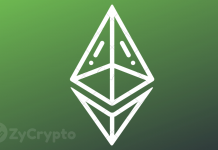 The year after the concept’s introduction, Vitalik formally confirmed that he would be working with Dr. Gavin Wood and Jeffrey Wilcke for Ethereum. He also published the “Yellow Paper” detailing the Ethereum Virtual Machine (EVM). In July of that year, they promoted their first Ether sale. The initial allocation consisted of 60,102,216 Ether, exchanged from 31,591 Bitcoins. 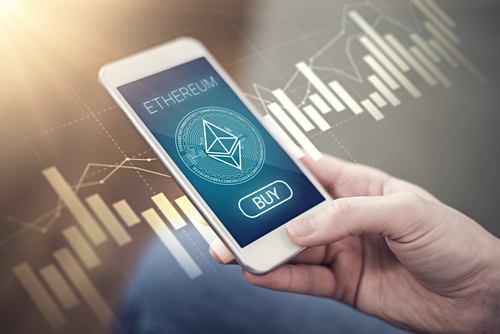 More Options – Unlike Bitcoin, Ethereum has more means of exchange from its Ether cryptocurrency, smart contracts, and the EVM. Modified Security Protocols – It operates on a proof-of-stake system instead of Bitcoin’s proof-of-work system. Two Transaction Types – Bitcoin only lets users conduct public transactions while Ethereum allows both public and private deals. Quicker Block Time – Ethereum has an average block time of 12 seconds which is considerably less than Bitcoin’s 10 minutes. 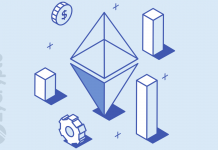 This means that Ether miners can complete more blocks and receive more of the cryptocurrency. Ample Supply – Experts approximate that merely half of Ether coins will be mined by 2021 from a supply of over 90 million tokens as opposed to Bitcoin’s supply which is capped at 21 million and from which a large portion has already been mined. Different Rewards System – Bitcoin rewards miners who solve new blocks with BTC. Ethereum, on the other hand, omits the block rewards and gives miners the freedom to charge transaction fees. You can find the first three components in just about all the cryptocurrency dealings. Meanwhile, Gas Price Value and Start Gas Value are solely found in Ethereum transactions. These play a central role in preventing spam attacks in the network. Without these defenses, malicious parties could produce smart contracts to waste computational energy that can lead to network overload. The gas model in the Ethereum protocol places value to each computation on the network. Generally, one computation is priced at one gas. Since gas has monetary value, an attack would be costly. Moreover, the Start Gas Value places restrictions on how many computations a transaction can execute thus inhibiting spam attacks even more. The Ethereum blockchain has the same general principle as Bitcoin’s concerning its ledgers, or a copy of its transaction history. One key difference is that Ethereum’s nodes record the most recent state of each smart contract as well as the ether transactions. With each app, the network must track the state, which is the current information for the applications. This includes the user’s Ether balance, smart contract codes, and file locations. If, for example, a user wishes to send Ether to another person, the EVM would read and execute the contract. 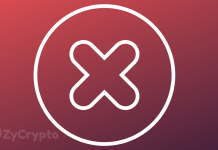 It is important to note that every time a user performs an activity, all nodes (or computers) on the network must collectively agree that the modification occurred. The process guarantees that the system of miners and nodes are accountable for the alterations from one state to another. Analysts report that Ethereum’s value may soon rise after its worth plummeted in the recent months. Ethereum is steadily growing as its developers continue to improve on the system. One of its outstanding benefits is that an external party cannot easily make any changes to data thus increasing security. Furthermore, apps, smart contracts, and organizations running on the platform have no downtime so you can be assured that your information is safe. Previous articleMarket manipulation? Why is Bitcoin SV Rapidly Increasing in Price Despite Widespread Bearish Market?